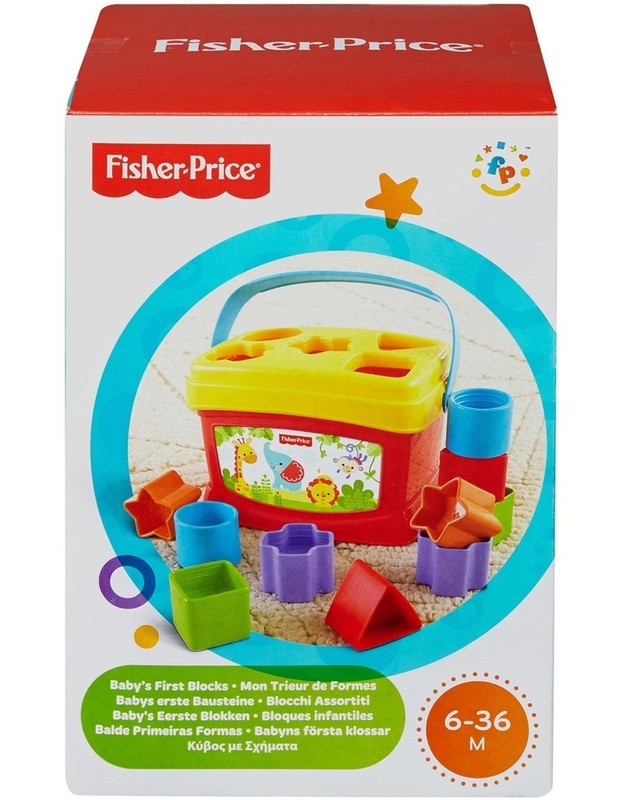 Baby can drop blocks into the open bucketor through the shape-sorting lid! Filling the bucket with blocks, dumping them out, and starting over is great for eye-hand coordination and other early skills. Then baby can move on to sorting and stacking, learning about identifying and matching shapes while having fun! All ten blocks fit inside the bucket, with a carry-handle for easy take-along.